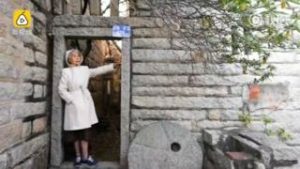 An elderly woman who has chosen a life of backpacking in her retirement has won millions of fans on Chinese social media. The 73-year-old retired teacher, identified by Pear Video as Ms Qi, says she opted for travelling over providing live-in care to her descendants. Pear Video followed her as she embarked on her latest trip to Quanzhou in China’s southwest Fujian Province. She stays in a dormitory in the video, and says she saves money by travelling with students and sharing journey costs. She says that meeting young people is one of the most important things about her travels. “I talk with them and they have lots of fresh things to say,” she says. 1. Traditionally, what was the role of the elderly in your society? What changes have occured over the years when it comes to their role and what brought these changes? 2. In Europe, intergenerational housing cooperatives where elderly people live with young adults in order to help each other, have existed. What are the benefits and challenges of such arrangement? 3. On your retirement, what things would you like to do?